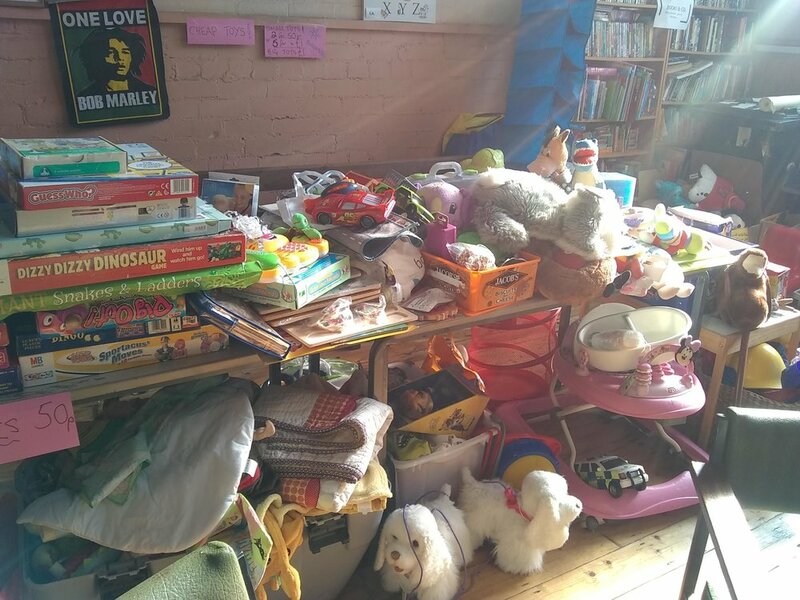 Supporters are kindly reminded that the Open day and Jumble Sale on 13th April begins at 10 a.m While we are delighted that punters are so excited that they have already started queuing for the amazing array of bargains, games and the CAKE STALL, doors cannot open until 10 a.m. If you must come early please wrap up warm!! What a lovely way to spend a springy Tuesday morning! 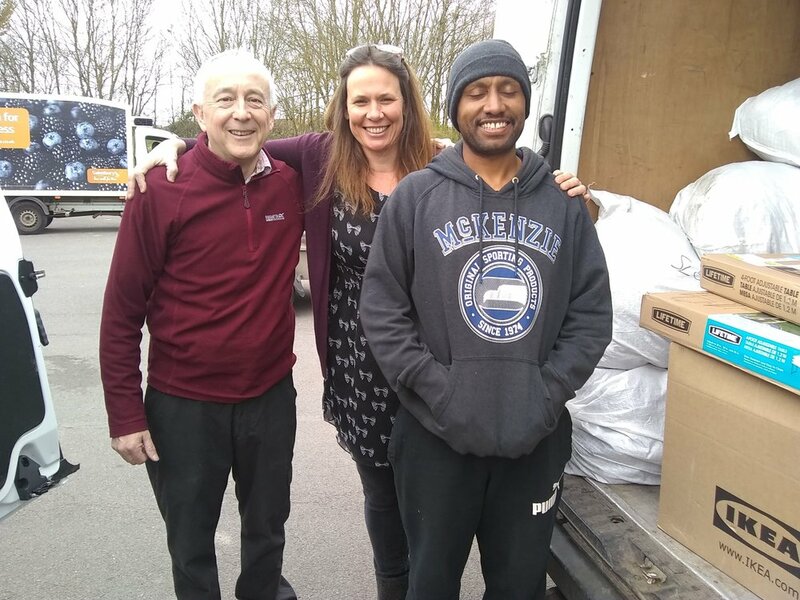 On 26th March a team of four from DRS hired a van, filled it with sorted donations and drove it down to a service station near Kettering to meet with a larger van driven by the wonderful Shelley Braddock-Overbury from North Essex. Today, the 27th March, Shelley will be driving the van to Care 4 Calais, Mobile Refugee Support, I'Auberge and Calais Project Play. It is always uplifting when things come together like this. As Shelley says, “As always Side by Side : Humanitarian Aid to Refugees have been amazing with their contributions to our load as well as Friends of Refugees Suffolk and CamCRAG. Excellent attendance at today’s meeting and lots discussed. Minutes will be published on Monday. 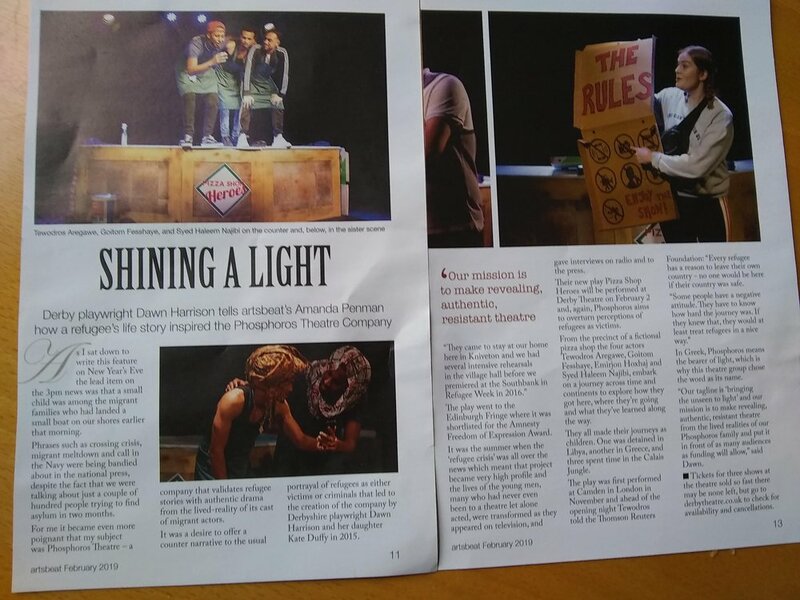 Thank you so much to everyone who attended and especially to those who offered to take on roles within the team. Our next meeting will be our AGM in April. Details to be announced. Hope to see you then! DRS had a wonderful day out at the Arboretum in Derby yesterday. The IWD celebrations brought together so many different voluntary groups, organisations, performers and social change advocates. It was an inspiring day with plenty of information shared and gathered, networking done and many new people being made aware of DRS and all that we do. Katy painted a sea of faces, Zak provided much appreciated pastries and knitted hats found new homes ( or should I say, heads). It was a joy to be amongst so many other people who are all working hard to make positive changes in this world. One of the very many lovely things about volunteering with DRS is that our volunteers come from EVERYWHERE! Just yesterday there were volunteers from the Sudan, from Libya, Iran, Italy, Greece, Poland and the U.K. People from seven different countries sorting donations, washing wet wipe packs, playing I-Spy and an international game of football to finish off the morning! It’s time to meet some of these volunteers individually, starting with Kotchy! Kotchy is from the Sudan. He loves music, having fun and being happy! If you have 3,000 sleeping bags and 5,000 blankets in your loft (or even just one or two)... take them to your local drop-off point before the 26th! If you have a spare sleeping bag or blanket, visit the link in our bio. If you don't, can you organise a collection or buy one from our #ChooseLovestore? Please like, comment and share. The more the message gets out, the more chance we have of keeping everyone sleeping rough in Calais warm through winter! "We've just acted with compassion and kindness and that's the world I wanna be in"
Brendan, we are so happy you're home and safe! !